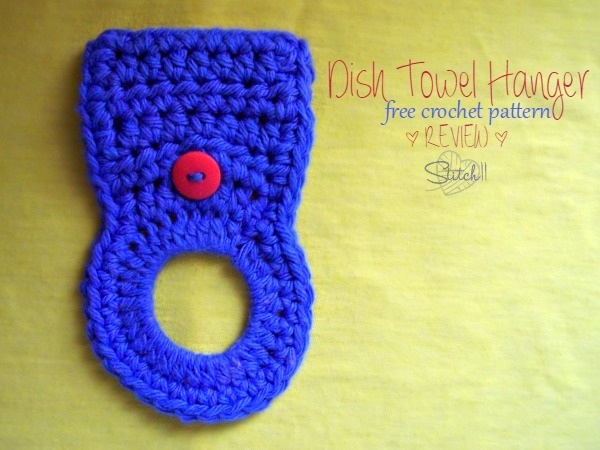 While looking through Towel Hanger crochet patterns, I decided on this one because not only does it look simple, but it doesn’t call for a hair tie. Hair ties are very hard to keep in my house. Between my 4 year old playing with them, me throwing them from my hair in the middle of the night, and my little thieving cats… they can never be found. We usually just use little hair rubber bands. Overall, the pattern is very easy to follow and works up super fast. However, the piece was a little small/tight/short.. and it was hard to fit my tiny button between the HDC stitches. If I were to freehand more based from this pattern, I would make it longer and also add a button hole. The towel holder does still do it’s job.. and that is whats most important. So thank you very much TheNinjaHerself! There is actually a “sharp crochet hook” you can order online. I just sharpened an aluminum one with a knife file. Is there a link to this pattern? I didn’t see it. Yes, Sorry it’s hard to see. It’s the very last word in the post. Bold blue letters spelling “HERE”.